Historical His parents were Polish nationals. In January 1934, he fled to Shanghai, where he was number 2 in the register of persons registered at the Polish consulate there. He later came to Hong Kong and became a British citizen on January 24, 1939. He anglicized his middle name to Alexander. In HK, he worked for China Light (now CLP) as a statistician. Herbert’s will was published after the war in November 1946. He left ₤900 to his brother Max, who was living in Haifa. 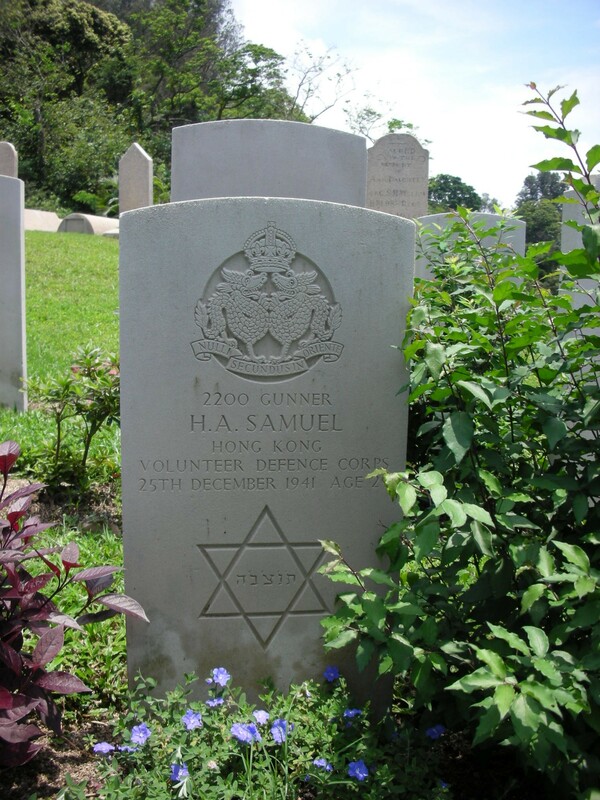 No Samuel is buried in the Jewish cemetery. He is not the same person as Philip Ellis Herbert Samuel, who is noted in a 1941 jurors’ list as working as an assistant at Sir Elly Kadoorie & Son. This latter Samuel was the son of Lord and Lady Samuel of London. He died in 1992.